Ellore together with Hansab participated on 24-26 November on Robotex that took place in Estonian Fair Centre in Tallinn. It was the first time we took part with our own exhibition stand and our biggest goal was to introduce all the robotics and technology enthusiasts what humanoid robotics and Pepper is and what it is capable of. It was such a joy to see so many robotics fans during the event, and we were thankful for the opportunity to show them some bits of robotics and innovation. This years’ event was a real success – altogether 25 000 visitors during 3 days was more than 9000 percent more than the previous years. There were more than 3195 robotics enthusiast and 1332 robots on the competitions. This number also means that Robotex has the opportunity to apply for Guinness record and become one of the biggest robotics events in the world. “Robotex is the largest robotics event in Europe combining competition, workshops, technology conference and exhibition. We came out to Robotex with 2 robots, Pepper and Nao. 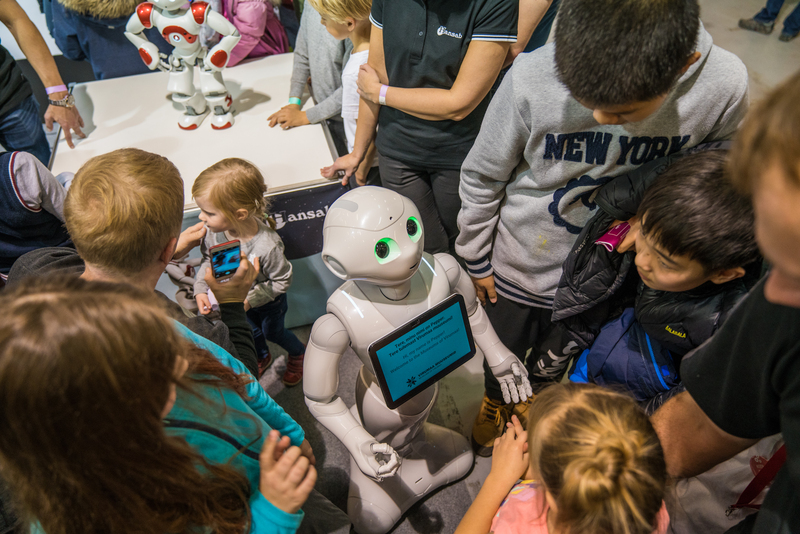 Pepper is the robot that we have developed a software for, and Nao, who is actually the older brother of Pepper and was originally created for science and education. These kind of events are very important for raising the interest among the kids who will be the future engineers developing this sector further” commented Priit Ivanov, Hansab Group Innovation Manager. “The event was a real success at every level. Workshops offered a possibility of a first encounter with robotics, the most recent and actual technology related topics were discussed during conference and visitors had the opportunity to not only observe but also to interact with them“ said Robotex’s managing director Ave Laas. Robotex is so much more than just building the robots, it is spreading the mindset that technology is interesting and useful and that an engineers’ profession is creative and various. “The interest towards our stand was significant throughout the entire exhibition. Big thanks to everyone who contributed to make this a successful event,“ said Priit Ivanov.